Last year the generation who vowed to never trust anyone over 30 reached age 65. Now baby boomers are retiring at the rate of 8,000 per day or more than 300 per hour. 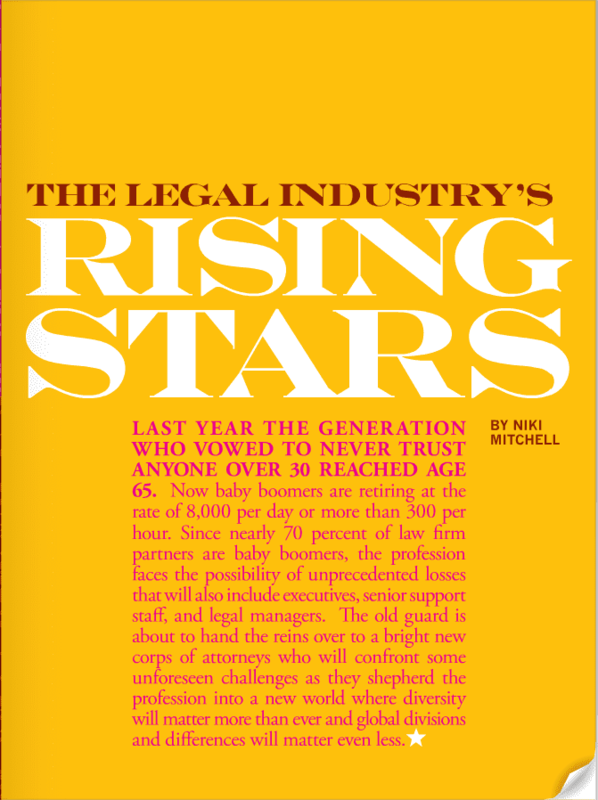 Since nearly 70 percent of law firm partners are baby boomers, the profession faces the possibility of unprecedented losses that will also include executives, senior support staff, and legal managers. The old guard is about to hand the reins over to a bright new corps of attorneys who will confront some unforeseen challenges as they shepherd the profession into a new world where diversity will matter more than ever and global divisions and differences will matter even less. Krispy Kreme takes its mission—to touch and enhance lives through the joy that is Krispy Kreme—to heart. For Kimberly Kennedy, the company’s corporate counsel, and her co-workers, this is more than just an aspirational slogan. She tells a moving story to demonstrate it. Kennedy took advantage of an opportunity to volunteer at one of the Winston-Salem, N.C., retail shops where the company is based to make and sell doughnuts. Kennedy encountered a family whose young daughter had some dietary restrictions, so her mother requested a specially made treat for her. Kennedy made a doughnut with significantly less sugar glaze than commonly used and just a couple of sprinkles for the little girl. When the child took her first bite, she lit up with absolute delight. In myriad ways, Kennedy says, that is precisely what Krispy Kreme strives to do for every store patron, for the people who work for the company, and for those who live in the surrounding communities. For example, Krispy Kreme provides four additional paid days off known as “Faith, Family, and Community Days,” for employees to spend time with family or working in the community. Last year, the legal department used one such day to volunteer at a local food bank. “It’s what we do,” she says. Today, Kennedy’s primary responsibility is to provide advice and counsel to the human resources department. She also handles corporate governance and securities issues, drafts and negotiates various contracts, and manages outside counsel among other duties. The company’s legal department is small with only five people, but has a significant commitment to diversity. Women and people of color make up the majority of the department, and Krispy Kreme is dedicated to increasing the amount of money it spends with diverse law fi rms. The company is a member of the National Association of Minority and Women Owned Law Firms’ (NAMWOLF) Corporate and Public Entities Partnering Program and has set an aspirational goal of spending a minimum of five percent of its outside counsel budget with certified minority- and women-owned law fi rms. The purpose of NAMWOLF is to encourage major corporations and public entities to utilize the services of minority – and women-owned law firms. 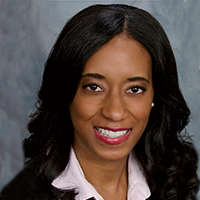 Kennedy also represents Krispy Kreme at the National Bar Association’s Commercial Law Section Corporate Counsel Conference and has participated in the American Bar Association’s Minority Counsel Program. Kennedy says she has benefited greatly from the wisdom of numerous mentors. But, the one person who really stands out is her colleague, Krispy Kreme Senior Counsel Jamila Granger. “She is not only my friend and colleague, Jamila is my go-to person for advice and guidance,” Kennedy says. “Many people have had a hand in my professional growth, but she is the person who takes the time to mentor and teach me what it means to be a good attorney.” Kennedy pays it forward by managing and mentoring the interns who come to the legal department. In addition to a better comprehension of corporate law, Kennedy wants the next generation of lawyers to walk away with an understanding of the practical aspects of the law as applied to business. For example, Kennedy says she often includes interns in meetings with the Krispy Kreme human resources and legal departments so that they can observe firsthand how balance between employment or workplace policies and applicable laws is achieved. It’s just her way of enhancing lives through the joy that is Krispy Kreme. Just as they have over the last 10 years, Google and other technological innovators will continue to break new ground in how we use and share knowledge, connect, and communicate. As technological advancements race forward, patent law must assume a similarly brisk pace to fulfill its promise of promoting and protecting innovation. Achieving the balance between these prospects is what gets Michelle K. Lee, deputy general counsel and head of patents, patent strategy, and partnerships at Google, Inc., up in the morning. President Obama helped address some of the nation’s patent-reform issues when he signed into law last year the America Invents Act, which will help American entrepreneurs and businesses bring their inventions to market sooner, reduce costly delays and unnecessary litigation, and increase the ability of American inventors to protect their intellectual property (IP) abroad. Nonetheless, much work remains to be done in implementing the most extensive patent-law reform in the past 50 years. Lee is helping with that task through her work on the U.S. Patent and Trademark’s Patent Public Advisory Committee to which she was appointed by former U.S. Commerce Secretary Gary Locke in 2011. “The country’s IP laws need to be balanced,” explains Lee. “If they are too strong, our laws can quash innovation; if too weak, they don’t create enough incentives for people to innovate because their ideas can be stolen. Striking the right balance is difficult but important to any society, especially one that wants to foster an environment of top-notch innovation.” Lee is passionate about the work she does because of its significance to society. “Intellectual property laws are critical given our current economic situation,” says Lee. “Innovation is how our economy will prosper.” Lee cites examples such as innovations in electrical engineering and physics which launched the semiconductor industry and enabled the subsequent development of the computer, software, and Internet industries. These industries account for tremendous U.S. economic prosperity as evidenced by the market capitalization, exports, and jobs created by companies such as Hewlett Packard, Cisco, Apple, and Google. She sees this aspect of innovation and the law from a unique vantage point. Prior to attending Stanford Law School, Lee graduated at the top of her class from the Massachusetts Institute of Technology with a bachelor’s degree in electrical engineering and a master’s degree in computer science. While earning her degrees at MIT, Lee did computer science research at the MIT Artificial Intelligence Laboratory and the Hewlett Packard Company. In 1988, Apple, Inc. filed a copyright infringement lawsuit against Microsoft Corporation seeking to prevent Microsoft from using its graphical user interface elements (such as windows, icons, and menu bars), that were similar to those in Apple’s operating systems. Apple lost on most of its claims, but Lee was intrigued by the questions raised in the suit, mainly whether or not copyright protection extended to the visual elements of computer software as described above. The court ruled that Apple could not get patent-like protection for the “idea” of a graphical user interface, or a desktop metaphor. Lee yearned to become a player and not just a spectator in this legal realm. Stanford Law School welcomed her in 1989. After law school, Lee clerked for Judge Vaughn R. Walker in the U.S. District Court for the Northern District of California. During that time, she worked on the same precedent-setting Apple Computer, Inc. v. Microsoft Corporation copyright infringement case (it lasted four years) and never looked back. A native of the Silicon Valley, Lee went on to become a partner in private practice at Fenwick & West LLP where she advised Silicon Valley technology start-ups on a range of intellectual property matters. 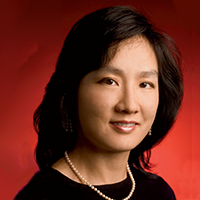 In 2003, she gave up her partnership at Fenwick to join the yet-to-become-a household- name Google because she viewed the company as “exceedingly innovative.” Lee loves the challenge of looking at and applying case law to brand new facts. The Apple Computer, Inc. v. Microsoft Corporation case is one such example. Given the pace of technological innovation it seems she will be able to indulge her passion with few limits well into the future. She is a founder and current board member of ChIPs (Chief IP Counsels), a local organization dedicated to advancing the careers of women in patent-related fields. ChIPs provides an opportunity for leading women IP attorneys to share their career experiences and lessons learned and mentor young women attorneys starting new careers in IP law. Since 2005, ChIPs has welcomed more than 100 highly loyal members. Lee is a co-founder of the Google legal department diversity committee, the goal of which is to attract, retain, and promote diverse attorneys. In addition, she persuaded the legal department to join the “Inclusion Initiative,” a collaboration of corporations committed to increasing their annual spend with minority- and women-owned law firms. As a result, the combined companies pledged to spend $30 million and actually exceeded the pledge by spending $42.6 million with diverse law firms in 2010. Lee is also a board member of a number of organizations including Stanford Law School’s Board of Visitors. The Board of Visitors plays a critical role in helping the law school respond to challenges facing legal education and define the law school’s long-term plans. Lee, a first-generation Chinese American, is one of a few female and minority board members. Daniel Marti is an intellectual property (IP) lawyer with the soul of a poet. While it may sound as if the road from Lannan Fellow in poetry as a Georgetown undergraduate to IP law was a circuitous one, it’s not quite the winding journey that one might think. “Many lawyers major in or have a love for literature, the arts, or philosophy,” says Marti. “For me it wasn’t a big leap from focusing on my creativity to protecting the creativity of others.” Daniel Marti is a partner at Kilpatrick Townsend in his native Washington, D.C., where he concentrates his practice on the protection, management, and enforcement of intellectual property assets in the U.S. and abroad. Marti has represented clients in a wide range of cases involving false advertising, unfair competition, trade secrets, cybersquatting, and computer fraud before various U.S. federal courts as well as the Trademark Trial and Appeal Board (TTAB) and the World Intellectual Property Organization (WIPO). Marti works with some of the best-known brands, including adidas, American Eagle Outfi tters, Butterball, Costco, and Marriott. Marti, who is of Spanish and Chilean heritage, also chairs Kilpatrick Townsend’s diversity council. Marti’s path to law began when he was an undergraduate student interning at the U.S. Department of Commerce (DOC). There, he met Carol Hayashida, the deputy director for the DOC’s Diversity Task Force, who advised, mentored, and introduced Marti to her contacts at the U.S. Patent and Trademark Office. He eventually landed an internship in the Office of the Assistant Commissioner for Trademarks. “While working there I was bitten,” says Marti. “I knew what I wanted to do.” Marti worked at the Patent and Trademark Office in Alexandria, Va., during the summer break after his first year at Emory University Law School in Atlanta where he focused on IP law. Afterwards, he interned at Atlanta-based Coca-Cola in its trademark department and never looked back. The head of the Coca-Cola trademark department suggested that Marti might be interested in working for Leslie Lott, who founded one of the top IP law practices in the state of Florida, where Marti had spent part of his childhood. For the first few years after law school he worked as a trademark lawyer with Lott & Friedland (now Lott & Fischer). While practicing in South Florida, Marti was appointed by then-Miami-Dade County Mayor Alex Penelas to the Community Relations Board. As a board member, Marti advised high-ranking officials on issues impacting intergroup relations, mutual understanding, tolerance, and respect among all economic, social, religious, and ethnic groups. Marti has had a few great mentors at different stages of his life and career, so he understands that any commitment to diversity and inclusion must focus on the day-to-day relationships. He believes that more experienced attorneys must make significant investments in the next generation of attorneys to foster successful development and retention of a diverse and competitive legal workforce. Younger lawyers need “super” mentors, who might be better defined as “sponsors,” Marti says. This is not just someone who will have lunch with a young colleague once a month, but someone who will put more on the line. “A sponsor is a seasoned lawyer who will put some skin in the game,” says Marti. “It’s someone who will invest their credibility and reputation—or professional capital, if you will— into advancing a younger lawyer’s development and progress.” For Marti, one such key person is J. David Mayberry. 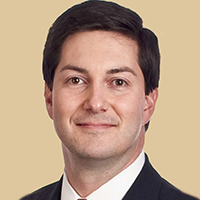 A senior partner at Kilpatrick, Mayberry is a well-respected IP attorney who has been exceedingly generous with his time and expertise as a sponsor, according to Marti. “He’s invested hundreds if not thousands of hours helping me to develop the necessary skill set to be a good lawyer, and frankly, a good human being,” says Marti. Tarsha Phillibert just knew she wanted to practice medicine. After receiving her bachelor’s degree from Boston University, she went back to her native New York to work as a research coordinator in the Medical Genetics Lab at Columbia University. She did a lot of research, writing, and problem-solving during the course of her daily duties, but began to realize that she was thinking less about medical school and more about where else she might apply her skills. “My sister was in law school and I talked to her about the opportunities available there,” says Phillibert. “I realized that law school was a great platform to research, analyze, and write and to help people as well.” Phillibert was a dean’s list honoree, merit scholarship recipient, and two-time Computer Assisted Legal Instruction (CALI) Excellence for the Future Awards winner. The CALI is given to the highest scoring student in each law school class at Case Western Reserve University Law School. She is thrilled with her decision to attend law school. Afterwards, she clerked for Judge E. Richard Webber in the Eastern District of Missouri, where she researched and drafted opinions on employment, product liability, intellectual property, and antitrust law. “Just watching Judge Webber conduct trials was an education,” says Phillibert of the jurist she considers a role model and mentor. “He is smart and capable and yet humble and caring. He works really hard to understand all the actors in any case before his court. I want to bring similar sensibilities to the clients I serve.” After working for Webber, Phillibert clerked for Judge Charles S. Haight Jr., in the Southern District of New York, where she also conducted research, edited, and drafted opinions on constitutional, securities, labor, and admiralty law. 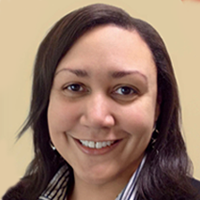 From the broad platform of her clerkships, Phillibert landed at the New York office of Jenner & Block, a national law firm with approximately 450 attorneys and offices in Chicago, Los Angeles, and Washington, D.C. At Jenner, Phillibert is an associate in the litigation department and a member of the complex commercial litigation practice. She also has significant experience in white-collar defense matters and in corporate internal investigations. Phillibert recently represented the court-appointed examiner in the Lehman Brothers bankruptcy case. She believes it is important to give back and is therefore very active in pro bono matters. Among other recent cases, Phillibert successfully represented a victim of domestic violence in an appeal for an extended order of protection and represented an immigrant in a waiver of removal proceeding in Immigration Court. The daughter of Jamaican immigrants who settled in Scarsdale, N.Y., Phillibert says her parents have been integral to her growth and development as well as her commitment to excellence. “My parents taught me to persevere and focus on my objectives. Perhaps more importantly, an overarching theme in our home was to always work to be better, not just good,” says Phillibert. “Those values and principles guide me in whatever I do.” Phillibert has focused those values on building a firm foundation in her chosen career, but she believes it is equally important to make sure that young people know of the opportunities that exist if they are willing to work hard and apply themselves. “I’d like my reach to be broader than just Jenner,” says Phillibert. “I’d like to influence young people to come into the profession.” Phillibert draws inspiration from attending networking and professional development events like the National Bar Association’s Corporate Counsel Conference where she has encountered a number of black legal professionals including judges, law firm partners, and in-house general counsel. “I felt empowered because in interacting with them I realized I can do this too,” says Phillibert. Phillibert intends to work more closely with clients and with senior members of Jenner. “It is important to keep my long-term objectives in mind because I want to be a leader, not just a player,” says Phillibert.